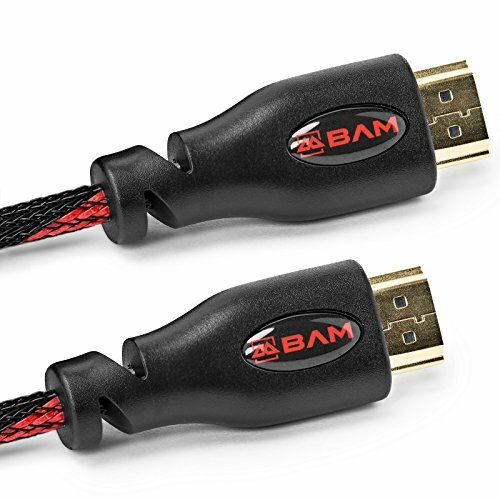 Upgrade your home entertainment system with these highly efficient and durable premium-quality HDMI Cables from BAM. 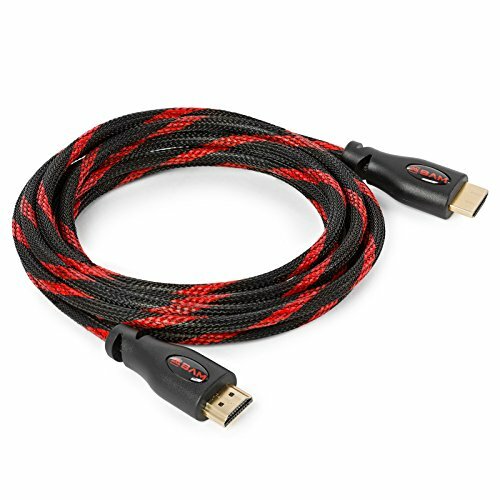 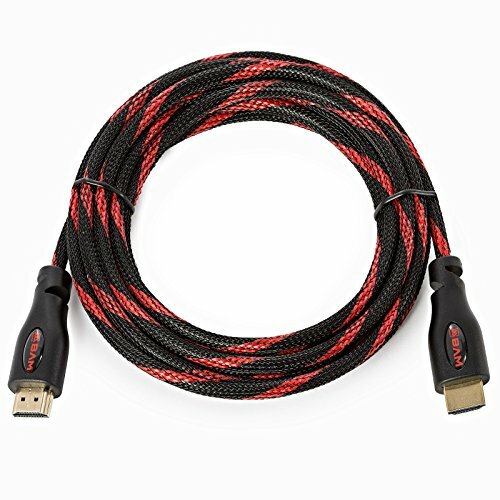 Now you can dynamically synchronize your video and audio streams and easily connect your TV to your Blu-ray players, Fire TV, Apple TV, PS4, PS3, Xbox one, Xbox 360, computers and other HDMI-enabled devices to TVs, displays, A/V receivers and many more.These heavy-duty cables conform to V1.4 HDMI standard specifications and are backwards compatible for any HDMI cable use.These sturdy cables feature an advanced braided nylon jacket with extra shielding and gold-plated male to male connectors to ensure reliability, eliminate signal loss and external interference – so you can enjoy digital signal purity for high-quality sound and clear pictures.Supports transfer rates of up to 340 Mhz or 10.2 gbps. 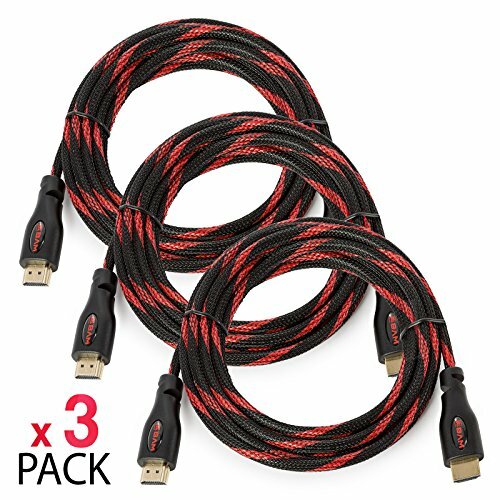 BAM Cables is your trusted source for electronic products and accessories that provide lasting quality and exceptional value.